Holly Willoughby gets her hair cut on LIVE on This Morning! Holly Willoughby gets a Kate Middleton fringe cut on LIVE on This Morning! 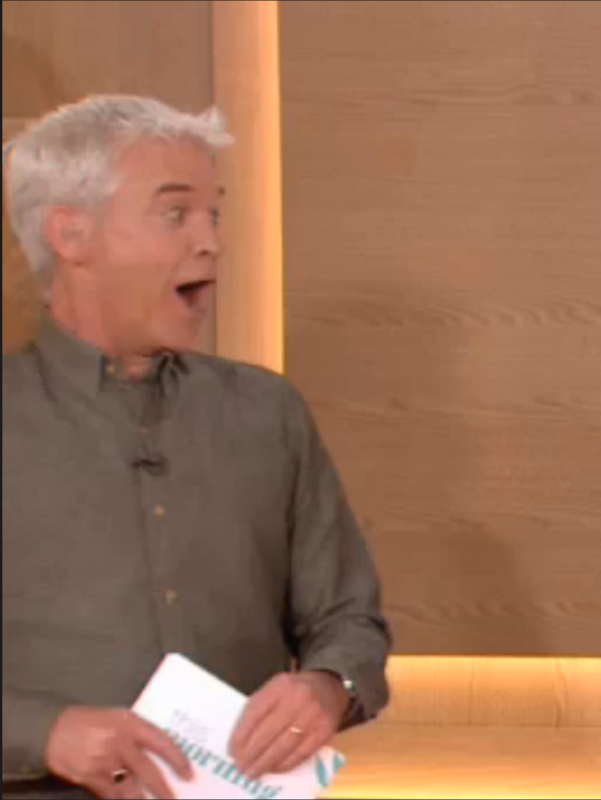 During a segment on This Morning, Holly Willoughby ends up getting her own hair cut on the show with Phillip Schofield. Getting your hair cut is a pretty daunting isn’t it? We mean, what if you hate it or you realise that you realise you really DON’T suit a pixie cut? Related: Holly’s BFF Fearne Cotton has little girl Honey! Yep. That’s right. The nation’s nicest yummy mummy was presenting a segment on This Morning, along with silver fox himself, Phillip Schofield, where a bunch of lovely ladies were getting a Kate Middleton-esque fringe cut in by hairdresser Richard Ward. The show used the aptly appropriate hashtag, #DIYDuchessDo. And sure enough, Holly got her beautiful blonde locks chopped. Eek! Richard got his scissors all up in Holly’s face – and hair – and started snipping. Despite a little bit of a shriek and worried look, Holly was pretty calm about the whole thing. Phillip, on the other hand, was just like our reaction. Mouth. Wide. Open. He couldn’t believe this was happening on live tv, and neither could we! And honestly, it looks great! Richard revealed the Gringe he had cut – a grown out fringe FYI – and Holly loved it.